Henry James (1843-1916), born in New York City, was the son of noted religious philosopher Henry James, Sr., and brother of eminent psychologist and philosopher William James. He spent his early life in America and studied in Geneva, London and Paris during his adolescence to gain the worldly experience so prized by his father. He lived in Newport, went briefly to Harvard Law School, and in 1864 began to contribute both criticism and tales to magazines. In 1869, and then in 1872-74, he paid visits to Europe and began his first novel, Roderick Hudson. Late in 1875 he settled in Paris, where he met Turgenev, Flaubert, and Zola, and wrote The American (1877). In December 1876 he moved to London, where two years later he achieved international fame with Daisy Miller. 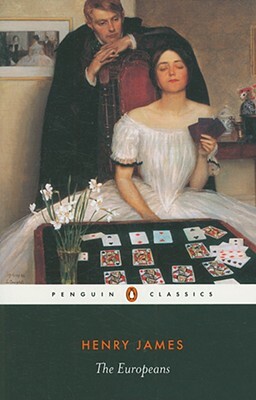 Other famous works include Washington Square (1880), The Portrait of a Lady (1881), The Princess Casamassima (1886), The Aspern Papers (1888), The Turn of the Screw (1898), and three large novels of the new century, The Wings of the Dove (1902), The Ambassadors (1903) and The Golden Bowl (1904). In 1905 he revisited the United States and wrote The American Scene (1907). During his career he also wrote many works of criticism and travel. Although old and ailing, he threw himself into war work in 1914, and in 1915, a few months before his death, he became a British subject. In 1916 King George V conferred the Order of Merit on him. He died in London in February 1916. Philip Horne has spent a decade looking at the thousands of James's letters in archives in the United States and Europe. A Reader in English Literature at University College, London, he is the author of Henry James and Revision and the editor of the Penguin Classics edition of James's The Tragic Muse.